Southwest Louisiana loves brunch! This truth is evidenced by the success of several new brunch venues in Downtown Lake Charles. These late morning/early afternoon feasts arrive on the heels of several already well-established brunch locations, such as Luna’s Bar and Grill and Pujo St. Café. If you’re really hungry and looking for a wide variety of brunch items to choose from, try Blue Dog Café. They offer a Brunch Buffet on Sundays from 10:30 – 2:00. Listen to live music while you enjoy made-to-order omelets, crab cake Benedict, Belgian waffles, smoked salmon with cream cheese on bagels, corn and crab bisque, smoked gouda grits and pork grillades, crawfish enchiladas, prime rib with horseradish cream sauce, baked ham, numerous hot vegetables, a salad and fruit bar, kid-friendly items, and a wide variety of desserts. From the bar, complimentary unlimited mimosas! Brunch price is $22.95 per adult and children age 7 and older. Children under age 3 eat free and ages 3-6, $7.95. If you’re in the mood for lunch on a Saturday – and you will love live Zydeco Lunch music to accompany the great food. Tia Juanita’s Fish Camp offers a casual Sunday Brunch from 10:30 – 3:00, with colorful décor, cool music station streaming, eclectic art on the walls, and menu items not found anywhere else locally. They do serve the popular brunch staple shrimp and grits, but they jazz it up with sautéed vegetables and Gambinos French bread. Also on the menu, you’ll find Molletes -- your choice of sausage or their in-house-made boudin, refried beans, melted mozzarella atop crusty slices of French bread and accompanied by pico de gallo and sautéed diced potatoes and onions. There’s Bayou Benedict, with boudin and two eggs over easy, drenched in chicken and sausage gumbo over French bread. Their Chilaquiles consists of a pile of tortilla chips smothered with spicy verde salsa, two eggs, parmesan cheese, sour cream, with a side of refried beans and rice. If you’re in the mood for something sweeter, try the Boudin Biscuit, with their famous boudin and crispy bacon crowning two fluffy buttermilk biscuits and drizzled with Steen’s cane syrup and potatoes on the side. Owner Susan LaLonde says, “They’re all good.” $5 Bloody Marys and $4 Mimosas available. Entrée prices range from $8.50 - $16.99. 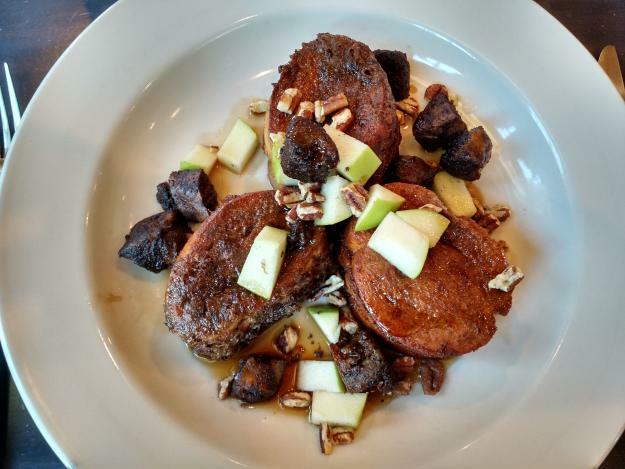 Nina P&apos;s Cafe recently launched their new Saturday Southern Brunch. Every Saturday from 10-1, treat yourself to cinnamon beignets deep fried to perfection or Shrimp and cheddar grits. Wash it all down with a Bloody Mary. For a more upscale brunch experience, visit 1910 on Sundays, 10:30 - 2:00. Chef and owner Andrew Green offers classic southern brunch favorites, such as chicken and waffles, shrimp and grits, cream cheese stuffed French toast, eggs Benedict, and more – of course, always adding his signature culinary flair. The bar is open, with several tempting cocktails, for example, a Breakfast Old Fashioned, made with bacon-infused bourbon; Brandy Milk Punch; Café au Lait with chicory liqueur; and of course, colorful Bloody Marys. If the weather is pleasant, dine al fresco on their patio. Entrées from $10 - $33. 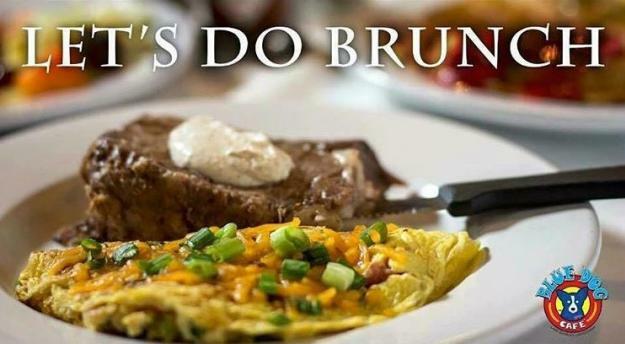 Check out all of our local brunch venues, at www.visitlakecharles.org/brunch. Reread Brunch: Part One, here.